Our factory has a long history with 10 years. So our dresses are made in superb craftsmanship. We mainly sell evening dress,prom dress,bridesmaid dress, cocktail dress,wedding dress,flower girls dress and so on. 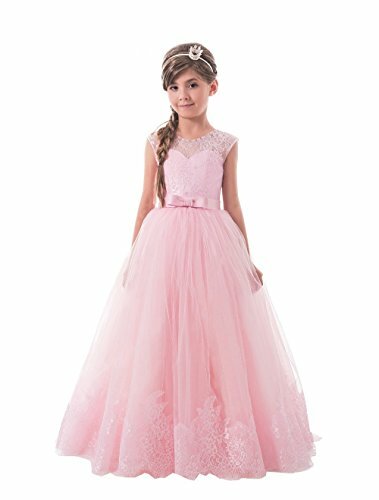 This lovely girls ball gown dress is made of tulle,lace appliques and bow tie are for decorating.And the princess dress will make your lovely daughter look like a real princess. We are willing to privide our sincere service to you. If you have any problem, please contact with us in anytime. We will give you a help.Please do not give us a bad fedback or an A-Z without contacting us. Note: The normal delivery time is winthin 7-15 day; If you want a faster delivery, you need pay another money. If you have any questions about this product by Lilis, contact us by completing and submitting the form below. If you are looking for a specif part number, please include it with your message.